Schedule posts for free and save time with our social media scheduler! 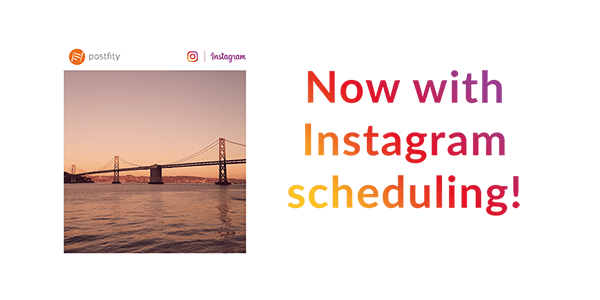 Schedule posts for free to Instagram, Facebook, LinkedIn, Twitter, Instagram (reminders) and VKontakte! With our post scheduler you can manage social networks, schedule posts and engage your audiences. ManageScheduleAnalyzeyour social media with our post scheduler. Manage your social media with our post scheduler. Learn how Postfity can help you focus on what's most important in social media marketing. 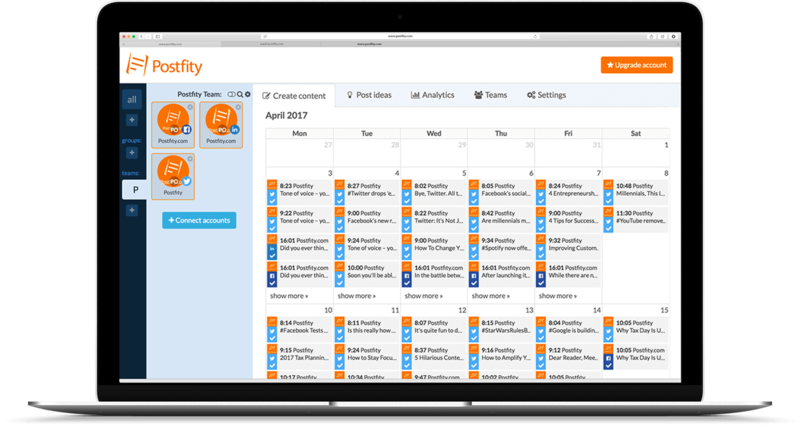 With Postfity, you can track your audience engage and grow in real time! Choose one of our premium plans and gain access to advance analytics which will help you understand your target! Add multiple social accounts into one, easy to use platform. 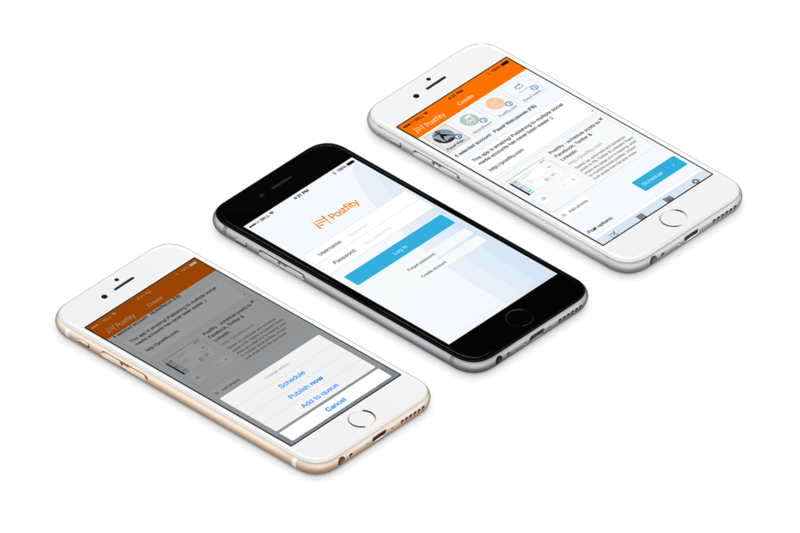 Just launch our app and link up to 200 accounts, which you can manage from one place! Schedule posts for an entire week in few hours, save time and don’t bother searching for new ideas every day! Schedule your first post now for free! Schedule Facebook posts, Instagram photos, LinkedIn posts, Twitter tweets, VKontakte publications with our post scheduler! Quickly set time when you want post to be published - have your content planned and let the app do the publishing work for you. Now it's even easier to access management functions while on the go! Check out our application, which allows you to schedule and post wherever you are. You can also schedule/publish instantly without leaving your pages with our dedicated Chrome plugin! Use built-in content recommendation system and get meaningful (based on your interests) post inspirations, daily! Add posts to queue, and Postfity will publish them with proper delays and at right hours. You can also define your own publishing days and hours, targeted for your audiences. With our suggested timing your stuff will look like it was posted in real time by yourself. Add posts or page covers to queue, and Postfity will publish them with proper delays and at right hours. You can also define your own publishing days and hours, targeted for your audiences. 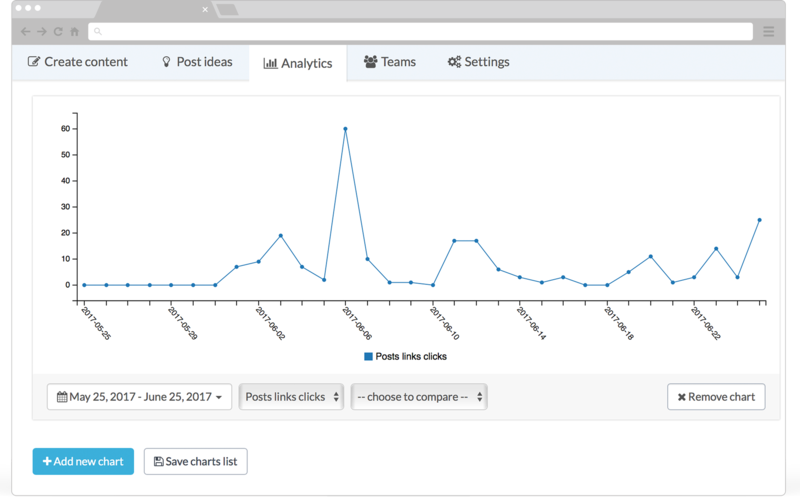 Get insights on your social media activities – track and compare multiple types of data like clicked links, post shares, comments and more. You can plan, schedule and queue contents with your co-workers/friends. 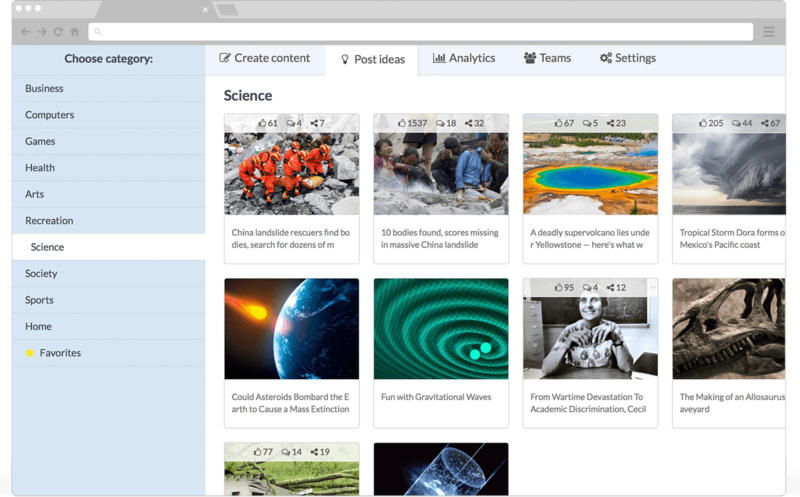 Create and collaborate with your team. Create a group with selected social profiles or pages to manage all of them at once. If you want to add photo, use our built-in editor to add adjustments, caption, filter or frame to the picture of your choice. Set up an automatic watermark to protect your stuff and add a professional look to posted pictures. Set up an automatic watermark to protect your stuff and add a professional look to posted pictures. Then schedule posts with that images easily! What do people say about our product? Scheduling posts is only one of the available features – you can use built-in ideas to post or use advanced timing options. 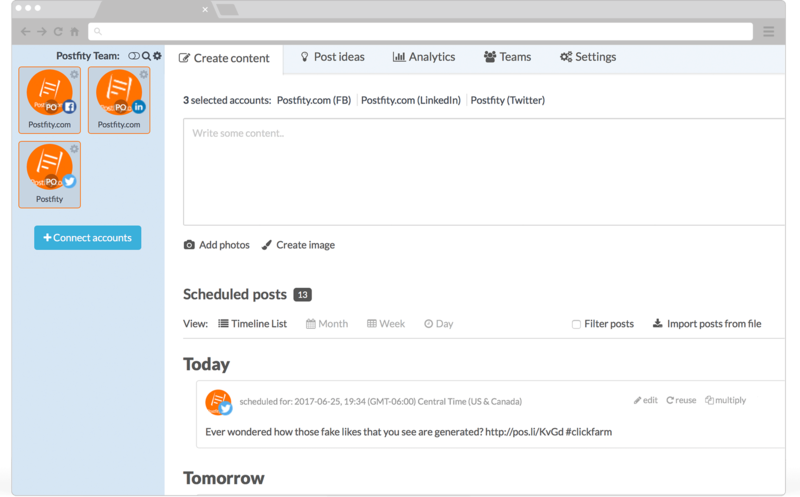 Postfity is a social media management tool that is super easy to use, and absolutely light on the wallet. 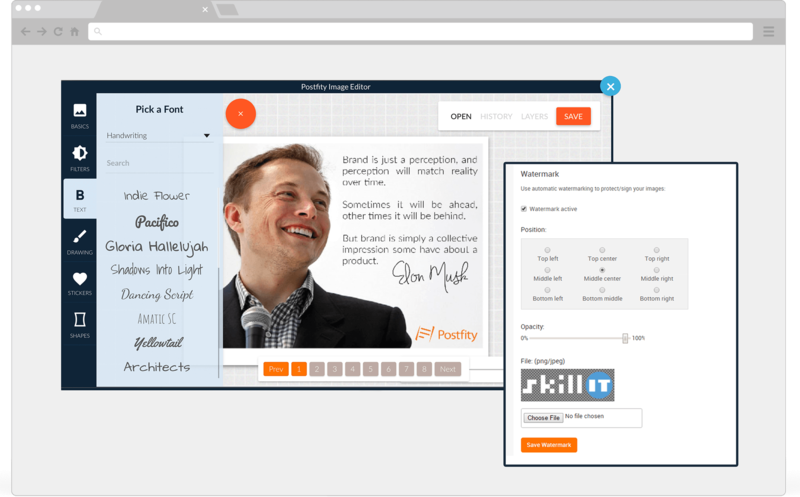 Postfity is a slick, easy-to-use, and free Web service that can help you stay on top of your social media comings and goings. Take your social media management to a higher level!